Streetwear and basketball enthusiast Don C brings his dynamic game to Converse with a collection of retro-inspired looks enhanced with his signature luxe touch. The Chicago-born designer of Just Don has reinvented the classic Converse ERX basketball sneaker, worn by pro basketball players, rock stars and skate champions. 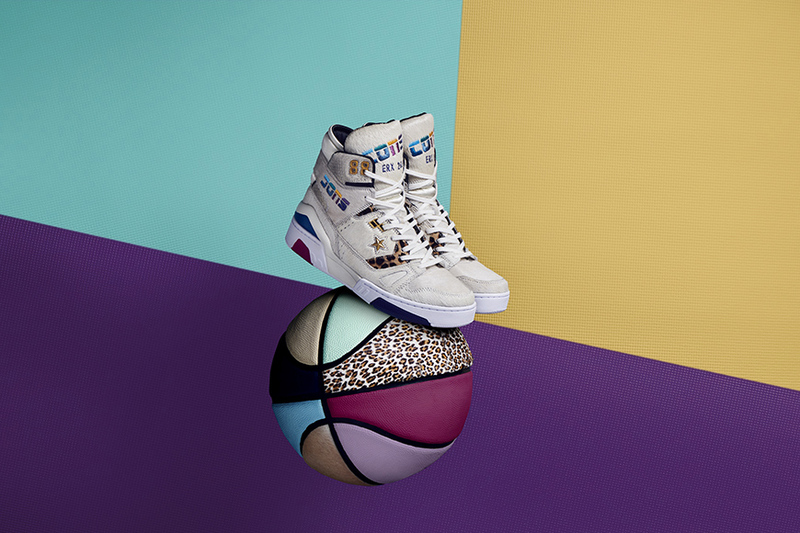 He designed the shoe with a graphic logo pop, flashes of retro hues, a jeweled star and a leopard patch – blending Converse heritage with modern courtside styling. He has also dreamt up a full sportswear collection with matching prints and logos that harks back to the glory days of court style and hip hop culture. All the apparel in this collection features Lurex embroidery, which is a metallic thread that makes the clothing pop even more. No detail has been spared, from the fabrics and zippers used, to the pops of color and animal print.